If your furnace isn’t keeping up the way you think it should it’s not always an expensive fix. In today’s blog post we discuss some simple DIY things you can do to keep your home warm this winter. 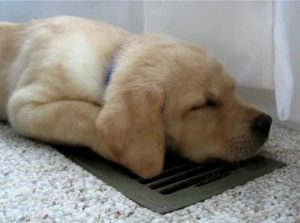 Check your vents are free and clear of all obstructions. Rugs, furniture, drapes, and even dogs could be in the way. Change your air filter once a month. Setting a reminder on your phone is a good way to remember to do this. Clean your gutters and drains before freezing weather hits. This helps avoid ice dams. Check your doors for drafts. Using a door snake or rolled up towel keeps warm air in and cold air out.